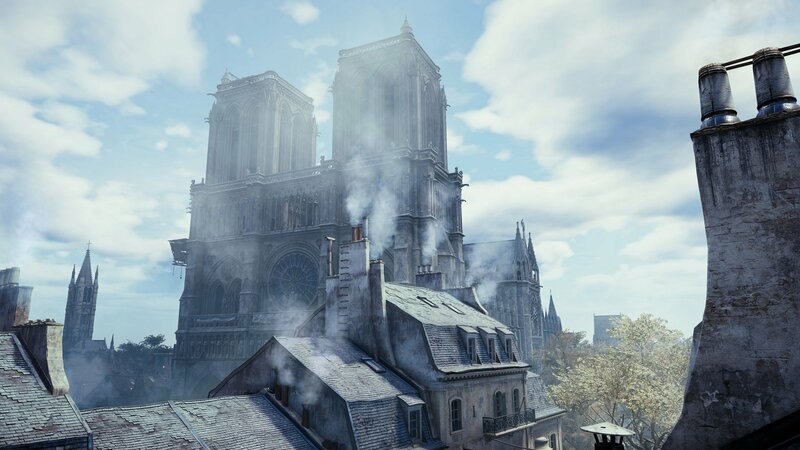 Ubisoft is doing what it can to preserve the legacy of the Notre Dame. Following the tragic fire earlier this week, Ubisoft is gifting players the opportunity to explore its incredibly well-detailed recreation of the famed cathedral. Assassin’s Creed Unity is free on PC for the next week. It’s a permanent license for anyone who grabs it through Uplay before April 25 at 1am local time. Here’s the link to nab it. Despite its reputation, Assassin’s Creed Unity is a solid Assassin’s Creed game. However, it launched in a state of disrepair on PC, and never really stood a fighting chance at redeeming itself; those technical issues have since been fixed. The Notre Dame is Assassin’s Creed Unity‘s crowning jewel, the magnificent edifice that stands tall in the Parisian city center. As we mentioned yesterday, there’s talk that Assassin’s Creed Unity will be used to help restore the Notre Dame. In light of that, we bumped our 2014 interview with Ubisoft’s Caroline Miousse — the artist who spent two years meticulously crafting this cathedral in a video game. The fire, unfortunate as it may be, now serves as extra validation that Miousse’s time and effort was well-spent. Giving away Assassin’s Creed Unity isn’t the extent of Ubisoft’s charity. The French publisher is also donating €500,000 for the reconstruction and restoration of the Notre Dame.